Countdown to Iceland! – Let Us Live Like We Mean It! Finally, it is less than six months till my trip to Iceland! I had a trip planned and paid for in 2017 that was cancelled due to injuries from an accident, and it has taken this long to reschedule my longed-for Iceland adventure. I have covered the sights I hope to see that lie out in the countryside of Iceland elsewhere in my blog. See Day trips I’m planning to do in Iceland; Iceland’s South Coast by day trip. So this post is about things I want to see in Reykjavik, the capital city of Iceland. I’ll be staying for the duration of my trip at Loft Hostel, which is located in the city center. 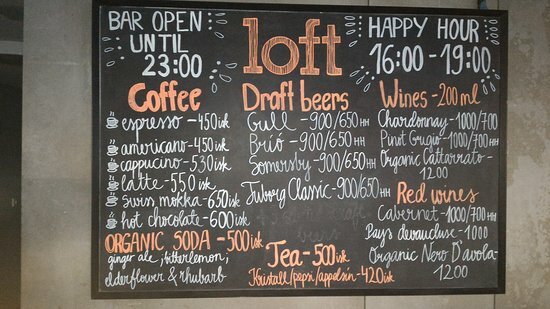 When I looked for pictures of it, I discovered that there are other, similar-looking Loft Hostels in places such as Moscow, Barcelona, Budapest and Thailand! 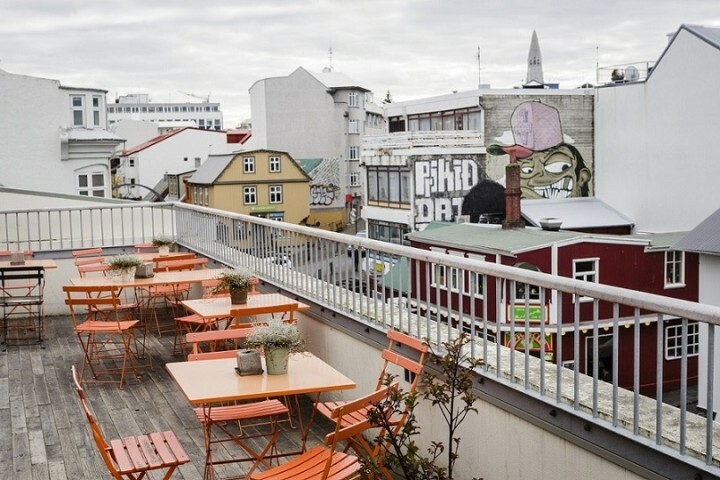 But here are some photos of the particular Loft Hostel in Reykjavik where I’ll be staying. All pictures are available at the Hostelling International website: https://www.hihostels.com/hostels/reykjavik-loft-hostel. 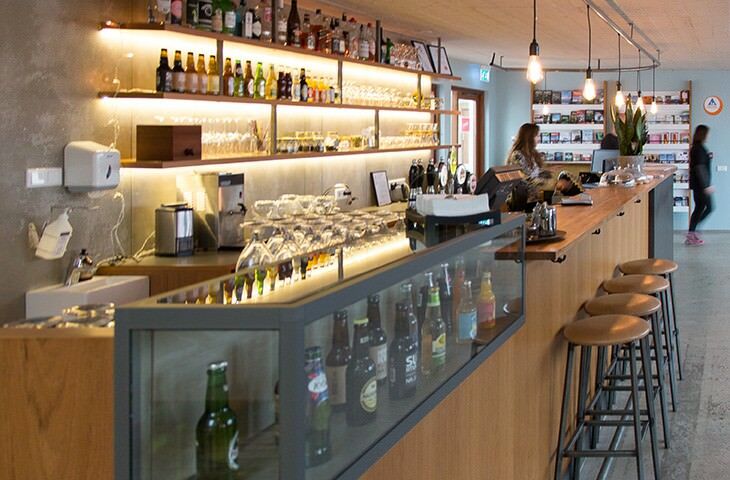 Yes, there’s even a bar at my hostel! By the way, many buildings in Iceland are clad not with wood or vinyl siding, but with corrugated iron, which usually is colorfully painted. The first generation to settle Iceland chopped down all the trees for building and firewood, and thereafter wood for building had to be imported by ship from Norway. This is mentioned several times in the Icelandic family sagas. Trees are still scarce in Iceland, although there is now an ongoing effort by Icelanders to plant new trees. Most of the trees now standing are dwarf birch trees, which are not good for building. Hence the creative use of corrugated iron cladding, as well as some other materials. Inside Harpa. Credit: Beer and Croissants. 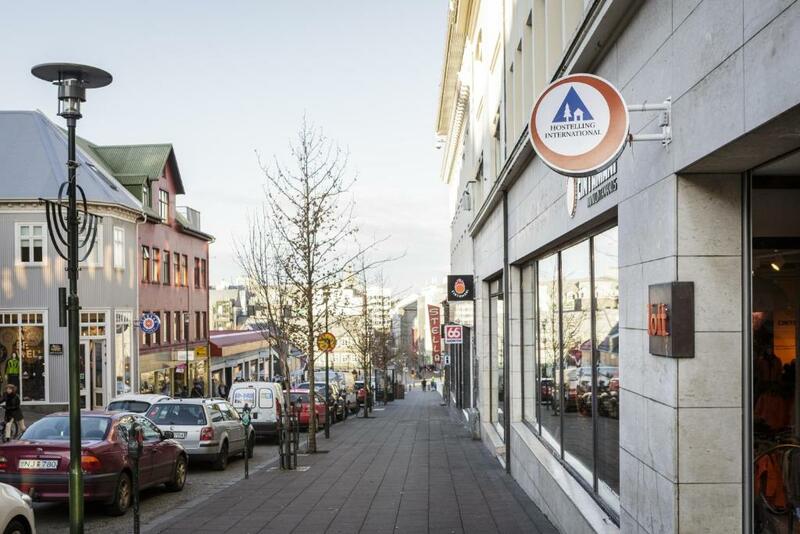 The above photo, as well as the following photographs of Reykjavik, are from the site https://www.beerandcroissants.com/self-guided-walking-tour-reykjavik/, (unless otherise credited), which gives a nice itinerary for a self-guided walking tour of the capital. One of many buildings covered with amazing murals in Reykjavik. Credit: Beer and Croissants. Hallgrimskirkja Cathedral, as seen at the end of a Reykjavik street. The cathedral’s architecture echoes the basalt rock columns found on some of Iceland’s beaches, which resulted from layers of lava flows. Credit: Beer and Croissants. Hallgrimskirkja Cathedral. Credit: Beer and Croissants. And there is a park next to it. My hostel is apparently quite nearby. I’m waiting for another Reykjavik city map that will hopefully lay things out a little better than the one I already have. Although I’ve also heard that the hotels, and hopefully my hostel, give out good free city maps, as well. It’s a lot to take in during the day and a half that I don’t have tours or a horse ride scheduled. I might scrap the Game of Thrones tour to give myself more museum and city wandering time. We’ll see what happens when I’m there. But since my hostel is in the city center, I’m hoping to be able to take in these sights and maybe another museum in addition to Culture House, perhaps The Settlement Exhibition Reykjavik 871+/- 2. From its Wikipedia article. The Settlement Exhibition Reykjavik 871 +/- 2. Photo credit: Szilas. From Wikipedia. The Norse came to Iceland in what is called the Settlement Age, which lasted from the late 800’s C.E. to around 1000 C.E. These are the same people who were called Vikings when they raided other communities. But Vikings is a misnomer here, because these Norse explorers didn’t have to raid and pillage the virtually unpopulated island of Iceland. Instead they settled the land. Sounds like an amazing experience coming up for you. Wow sounds like a fantastic trip. I was there a few years ago and absolutely loved it. Amazing photos! Thanks, Lauren, I hope so! Very colorful indeed….amidst snow the color just shine. Love from India. Great post! I hope you enjoy your time there. Iceland is number one on my bucket list!